Heart's Delight Cards: Today's the Day!!! I'm so excited, and I just can't hide it - I'm about to lose control and I think I like it! Today the new Occasions Catalog starts, and so does Sale-A-Bration! And when I say I'm about to lose control, I really mean it....I love EVERYTHING in the new catalog! Luckily for me (and for you, too), we get to choose a FREE Sale-A-Bration item for every $50 in pre-tax product we purchase. So not only do we get good stuff, but we get MORE good stuff! Check out the links to the catalogs on the left or, if you don't have a Stampin' Up! demonstrator and would like me to send you a copy of your own, let me know! 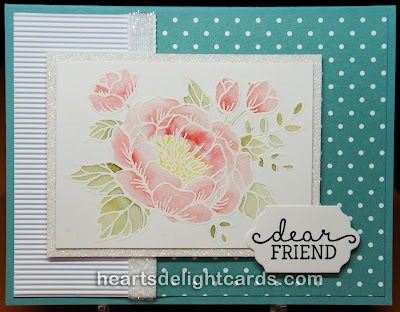 And to make it even sweeter, during Sale-A-Bration Stampin' Up! is adding an additional $30 in merchandise to the starter kit. So for $99 with free shipping, you get $155 in products of your choice! It's easy and painless to join, and there's no further obligation or any penalty if you decide to drop. But I have a feeling you'll want to stay and get all the perks of being a demo! Ask me what they are! 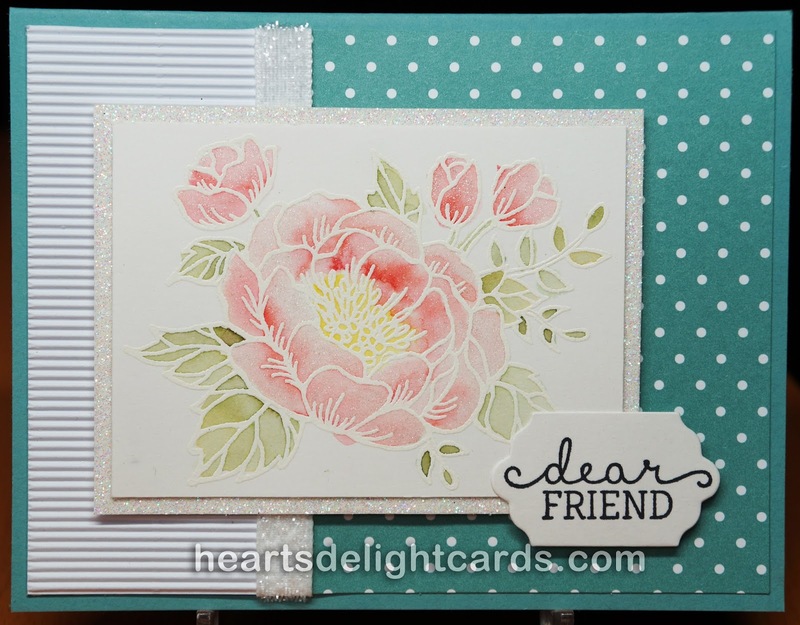 This card uses the very fun to color Birthday Blooms stamp set, and was made for a friend who I miss very much. We had so much fun stamping together, and she showed me the best place in San Diego to get genuine English fish & chips, with mushy peas. I miss you, Diane, more than you know! P.S. That Clear Wink of Stella Glitter Brush Marker used on the petals is one of my favorite items in the catalog. You know me and shiny things!! !